This morning Autodesk has unwrapped its latest offering: AutoCAD 2019. As with every release, there are a handful of changes and the first one you will notice are the newly designed icons. Once you move past the pretty new interface, the biggest change this year is the removal of all of the vertical add-on desktop applications. No more Architectural Desktop, Mechanical Desktop, etc. 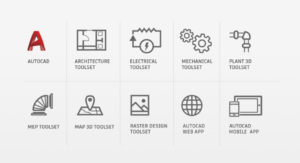 The tag line this year is “One AutoCAD” meaning if you subscribe to AutoCAD 2019, you now have specialized toolsets that bring all of the vertical add-ons directly into your main AutoCAD application. Now you don’t need 3-4 versions of AutoCAD to get your work done. Essentially, Autodesk has turned all of the previously separate specialized flavors of AutoCAD into tool sets that are loaded into the main, vanilla AutoCAD installation. There are now Architectural, Mechanical, Electrical, MEP, Plant 3D, Map 3D and Raster Design toolsets that move all of the functionality into the main AutoCAD application. And, if you are on subscription (which, frankly, is the only way to get AutoCAD anymore) than you have access to all of these tools for free. This is great, especially as everyone moves more and more into 3D work, regular AutoCAD users can now start to dip into the capabilities of these applications without leaving the application they are already comfortable with. 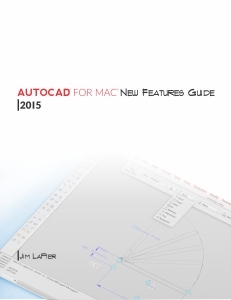 Another big update is to the AutoCAD web app. It is vastly improved and is now much closer to the desktop look and feel, playing into the “One AutoCAD” premise. Be cautioned however it only runs through Chrome. There were some great enhancements for comparing drawings as well, which is great for production. Hopefully, breaking out some of these verticals and adding them into AutoCAD proper will have a ripple effect and trickle down to AutoCAD for Mac. We really need to see more of these features on the Mac side of things. Fortunately if you do own a Mac and want to access these features, you can use a virtual machine (Parallels is the supported software, and my preferred virtual setup) or you can run Boot Camp. Both are fine options, and I can tell you I run Parallels on a daily basis for AutoCAD as well as apps like Visio. I still prefer the AutoCAD for Mac interface, but Parallels is an essential tool in my workflow. I’ll link to the videos / blog posts of everyone doing more in depth reviews later. For now, get to your account screen and get downloading!